Hybrid cars seem like they are going to be the norm of the future. 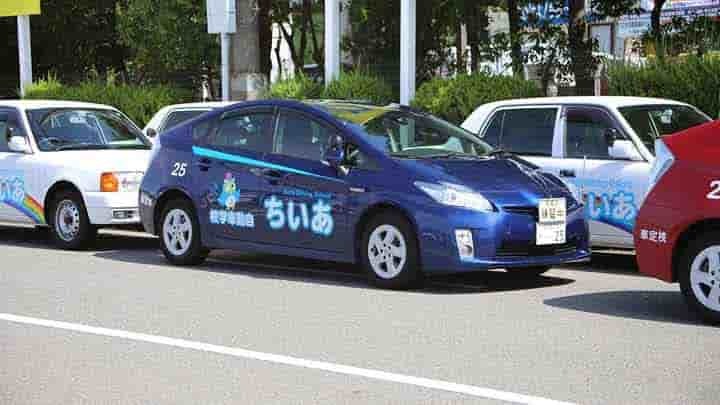 There are already a lot of people driving hybrid cars on the road and there are bound to be even more as time goes on. If you believe in global warming, then you can appreciate the fascination that people have with hybrid cars and how they can reduce air pollution that is destroying the environment. Hybrid cars are powered using a combination of electric motors and gasoline engines. The idea is that this combination will reduce the number of carbon emissions from the vehicle as it is in use. These vehicles cost a bit more than economy cars, but this may change in the future if traditional gasoline vehicles become obsolete. Before you purchase a hybrid car, there are some driving tips which you should follow. These tips will help you save on gasoline and get the most out of your hybrid vehicle. Below are the top 5 driving tips for this exact purpose. Drive Efficiently – Hybrid vehicles were not designed for their performance. They were designed. They were designed to be efficient vehicles by consuming less gasoline and using more electric power to make up the difference. With that being said, this doesn’t mean you should go speed racing on the interstate or try to exhaust as much of your vehicle’s resources as you can. What you should do is use the gasoline engine just to get the car up to the speed that you want and then let the electric motor keep you in cruise mode. This is the best way to save on gas. Lower Speed – Even if you set your vehicle on cruise control with the electric motor powering it, you will still have less fuel efficiency if you’re driving faster than 55 mph. When you drive on the interstate, try to cruise at 60 mph instead of 70 mph. This will be the best way to reduce gas consumption while still maintaining a fast-enough speed on the interstate. Manage Battery Charge – You might think that fully charging the battery in your hybrid car would be a wise choice before you go out on the road. The truth is that a fully charged battery will actually consume power faster than a half-charged battery. Many hybrid car manufacturers recommend that you keep the battery charged between a 20% and 80% range. If it drops below 20% and you still drive your vehicle, this could end up ruining your battery by not being able to charge it as much in the future. Braking Helps Battery – When you’re using electrical battery power while driving your vehicle, you can actually bring energy back into the battery each time you apply the brakes. This doesn’t mean you can drive really fast and then brake quickly to bring all that power back into the battery. What it means is you drive slowly, brake gradually, and try to ride the brake as often as possible. If you do this, you’ll find that you won’t have to recharge your battery as often. Use Less Accessories – Remember that your car has lots of accessories which will draw on its battery power too, such as air conditioner, radio, heater, and so on. If your vehicle has an eco-friendly mode, then you should use it because this will cause your vehicle to consume less battery power when supplying energy to these accessories. Other tips you should follow are to not use your headlights during the daytime and to use your mobile phone for music and radio rather than your car’s radio.